Good anglers know that the strongest mindset pits you against the fish. But there’s no denying the impacts of fellow anglers, and finding less pressured fish can be the key to catching bass. FLW Tour pro Alex Davis is all about minimizing the impact of pressure on fishing by finding grass offshore that most others won’t spend the time to dissect. “It’s probably largely overlooked because you can’t see them; and, because the grass beds can be so big, nine times out of 10, people don’t want to spend the time to fish them to find them,” Davis said. “It’s almost a lost art anymore — going fishing. 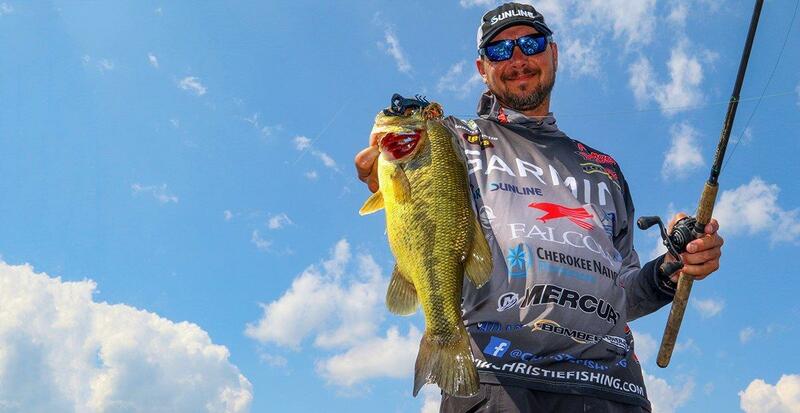 Elite Series pro Jason Christie agrees to an extent but has changed his approach in recent years to what he calls “fishing off the graph.” Essential to his change has been the developments in modern marine electronics. “You have to use your eyes under the water, and for me, that’s Garmin’s new Panoptix LiveScope,” Christie said. “Back in the day, with traditional sonar, you had to be right over top of the grass to see it, but with LiveScope, I can fish the grass before I get on top of it. Earlier in the year, on big bass factories like Guntersville, Rayburn and Chickamauga; Davis looks for the grass in 8-10 feet. Later in the year, he'll expect good growth out in 14-15 feet. Davis finds the thickest and most dependable grass on offshore flats, where depth consistency translates to an even growth pattern. 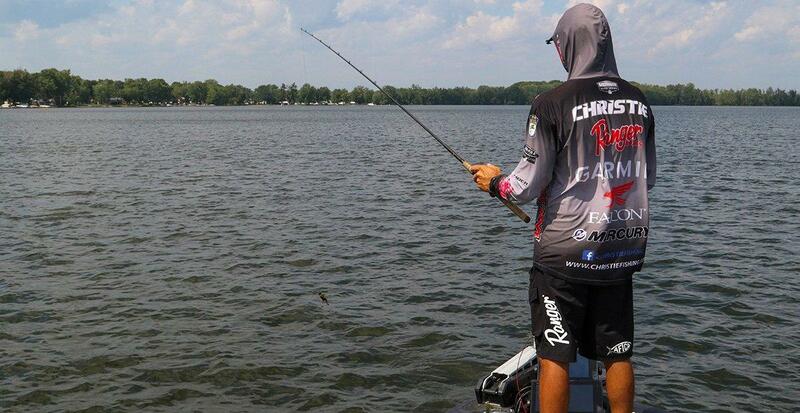 While you can look at tournament history on the lake to find likely areas, location is more than a real estate selling point — it governs a bass' life decisions. "I want to find the best grass out in front of the best spawning areas," David said. "I want to know where they're going to be living before they go to spawn and then, after the spawn, they're going right back out there." 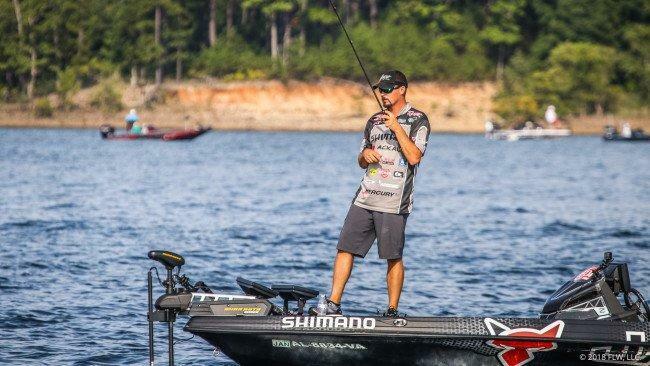 It's a pattern he found that led him to the day one lead at the 2018 Forrest Wood Cup on Lake Ouachita. Most of the field missed the deep grass bite but Davis found one good area that yielded key fish for him. Christie points out that, while reservoirs typically have a defined edge along which the grass stops, a lot of your natural bowl lakes lack that clear boundary. In such scenarios, he'll look for isolated clumps of grass that may be a little taller than the nearby masses. "On reservoirs with a hard edge, a lot of times, those fish will get right on that seam where the grass ends," Christie said. "I'll sit off of it and make short flips. Once you develop a pattern, you can look at it on your graph and these fish will either be in the thicker stuff or the thinner stuff. They'll kind of be in one or the other day in and day out." Just like an emergent grass mat, Davis targets any points, dips, cuts and anything that might afford a bass ambush potential within an offshore grass bed. "Fishing deep grass is no different than fishing the bank," Davis said. "You just have to visualize everything like you were looking at it going down the bank." A good map card can help you see the breaks and turns on a flat a lot of times which will provide these ambush points. Christie expects to work through sizable stretches of seemingly barren grass, but the boredom is frequently offset by flurries of opportunity. "There will be little areas with schools of fish," he said. "I've seen it be areas as small as a wheel barrow or the size of a truck, and I've seen where you just have to be in an acre of grass. "I believe those bigger fish want to own a spot within an area, so if I pan around with LiveScope and I see a clump of grass off by itself, I know that's probably a place to catch a really big fish; or it's a place that probably no one else has fished." Davis tackles spring grass with a Rat-L-Trap, crankbait and a jerkbait; and then goes with a spinnerbait, crankbait and swimbait for the post spawn bass. Summer through early fall, he gets it done with a big worm or a flipping bug like a Sweet Beaver and 1 1/2-ounce weight. He also employs a big swimbait like the Bull Shad or Jackall Rhythm Wave. 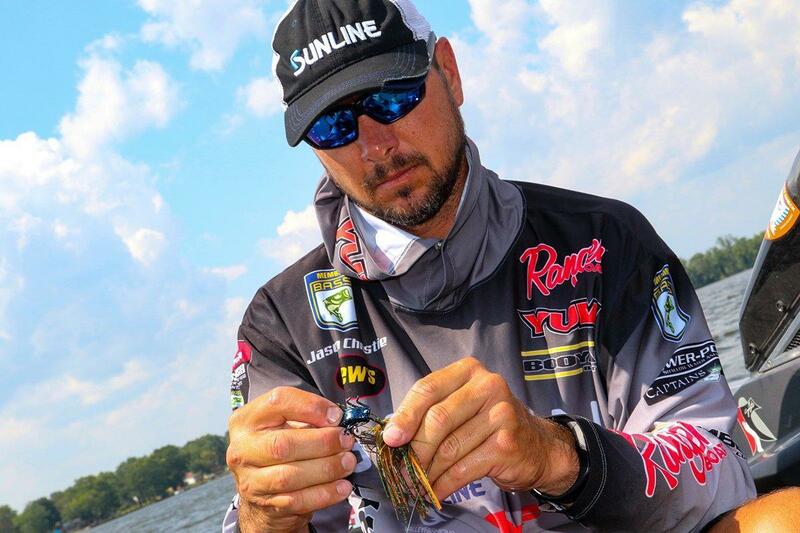 Favoring a 1/2-ounce jig with a YUM Christie Craw for it's fall rate and big-meal profile, Christie spools up with 65-pound Sunline FX-2 braid. "When you're using something heavy like this, these fish are not line-watchers; I just want it to fly by them and make them bite," he said. "I use 65-pound braid, so I don't have to worry about retying. Whenever they do bite, I can lay the hammer to them." Using the often mile-long deep grass beds on his Lake Guntersville home waters as an example, Davis notes that there are no shortcuts to covering a vast area of submerged grass; but the ROI justifies all the transactions. "If you commit to fishing a large grass bed, it might take you all day to find (the fish)," he said. "But when you do, they're usually less pressured and fewer people are going to find them. That's the beauty of it: you can find something that a lot of people want to find, but not many people will stick it out long enough to find."